When people are refurbishing their homes, interior materials such as worktops and sinks often end up in the skip – but not in Durat’s vision. The company has developed a fully recyclable interior material which is 30% made from surplus plastic collected from partner companies. In the future, the company wants to be able to buy back used products for materials, which would make it an advanced circular economy operator. Plastic waste often ends up in landfills or incinerators, as do interior materials that are replaced during refurbishment projects. Natural resources are being depleted and emissions increase as new products are manufactured from virgin raw materials. Durat uses recycled plastic in its interior products. The Durat material is made from 30% recycled plastic. The company collects plastic waste from its corporate partners. The material is then sorted, granulated and cast into sheets or finished forms, such as kitchen sinks. A cast Durat material can be reused by grinding or cutting to shape. Alternatively, the material can be granulated and cast again. Durat’s production method reduces the demand for virgin raw materials and the volume of landfill plastic waste. 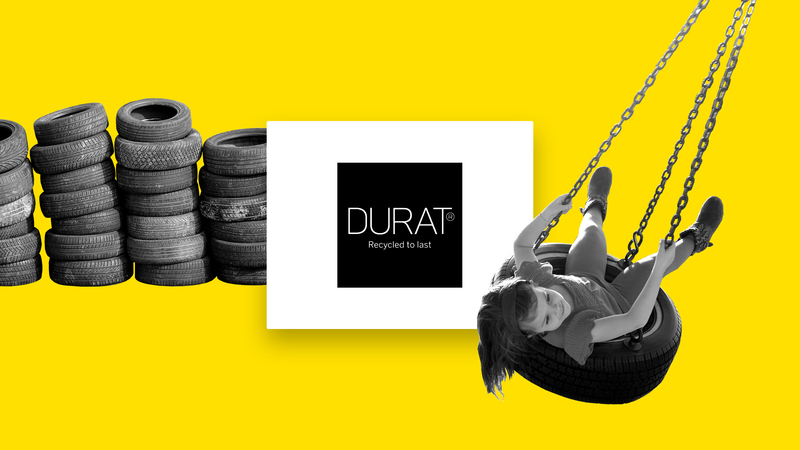 Durat gets its income from the sale of its products. The products have a warranty of up to 10–15 years. In the future, the company will set up a product returns system which will allow customers to sell their products back to Durat. The repurposing of used products helps create a circular flow and reduces material costs. Customers have a choice of a sustainable and environmentally friendly interior design material – Durat meets the green construction criteria. The Durat material is easy to maintain and keep clean. Customers can save on refurbishment costs and waste charges by using durable and sustainable products.